It’s the first of three live readings performed at the New Media Expo that are headed your way. 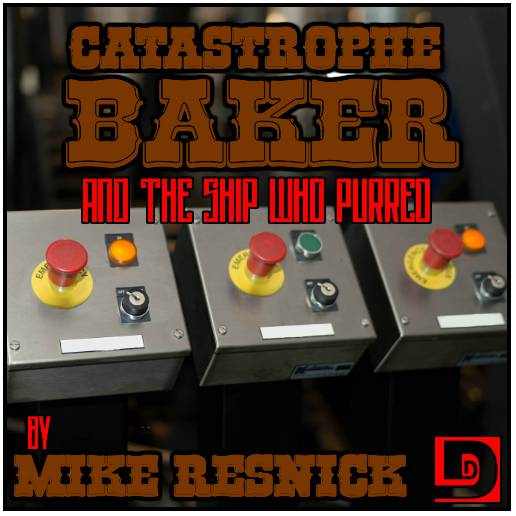 On Saturday morning, we performed Mike Resnick’s “Catastrophe Baker and the Ship Who Purred.” It’s Catastrophe doing his favorite things, fighting and loving. Special thanks to Renee Chambliss, Abigail Hilton, and Chris Lester for lending their voices to today’s story. Today’s music was Hitman from Incompetech.com. Art photo was courtesy fatedsnowfox and was cropped and adjusted to remove the words from the buttons. This entry was posted on March 6, 2014 at 11:39 pm and is filed under Comedy, Mike Resnick, Science Fiction. You can follow any responses to this entry through the RSS 2.0 feed. You can skip to the end and leave a response. Pinging is currently not allowed.